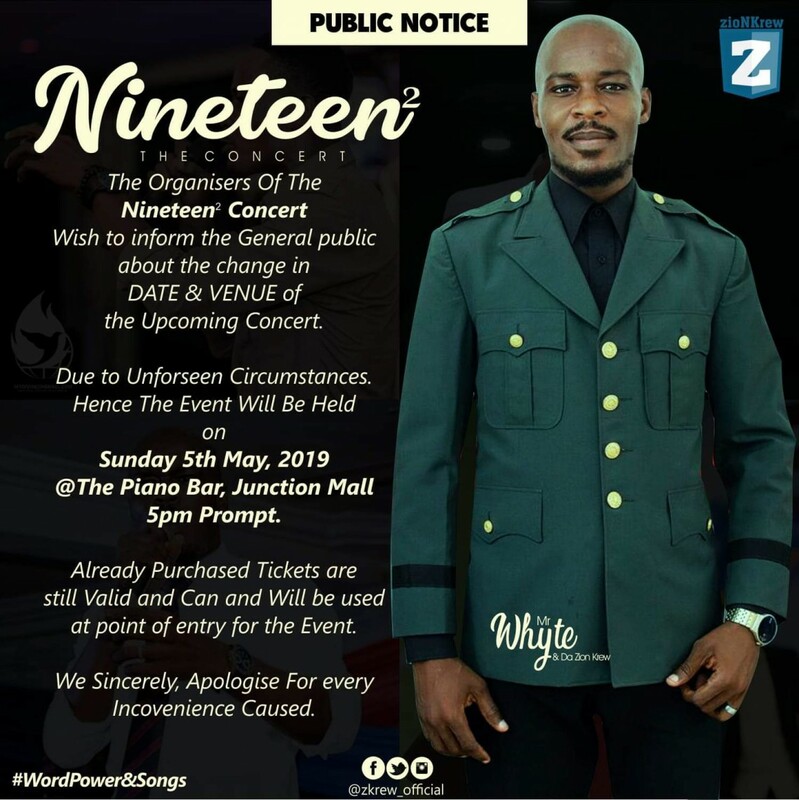 The Nighteen Concert by reggae/dancehall artist MrWhyte and The Zion Krew now comes off on May 5th, 2019 at the Piano Bar, Junction Mall at 5pm. Initial date for the event was Sunday 14th April. Tickets are still up for sale and all already purchased tickets are still valid and will be used at point of entry. Tickets range from GOLD 30ghc, SILVER 20ghc and BRONZE 10ghc. Artists on Bill: Lil Zig, Fifi Ababio, Jake Asare, Mcmighty.